8 – Prepare to be amazed as soon as you arrive. The resort is absolutely stunning. Everything is white, bright and in pristine condition. The resort looks elegant from the outside and then even more so once you walk in. You have the grand lobby with an orchestra playing, the huge bird cage and the fresh clean scents right when you walk in. The grounds are perfectly maintained and the cast goes above and beyond to treat you like royalty. We really can’t get enough of this resort. It is a dream stay for many guests on property, so if you get the chance to stay here, definitely feel privileged to be there! 7 – Great amenities and recreation. The resort has everything that you could imagine. You have boat and water options, bike rentals, the largest and most grand spa on property, Senses, a hair salon, multiple gift shops and stores, a beautiful pool with cabana rental options and so much more. This truly is a resort that you can show up and never want or need to leave. If you are staying here, you will definitely want to plan a couple days to just spend relaxing and enjoying the resort, as it would be a shame to miss out on it. I do mean amazing, too! Imagine walking into the grand lobby and hearing the various Disney classics and other favorites being performed by an orchestra. Well, that is exactly what you get multiple times a day all day long at the Grand Floridian. Many guests love to just sit in the lobby and listen to the Grand Floridian Society Orchestra’s performances. It is like getting to go to a high dollar show for free. It is also a wonderful touch to add to the theme and grandeur of the resort. 5 – Signature dining options. There is no way that you will ever go hungry staying at this resort. There are so many different dining options and they are all amazing. You have The Grand Floridian Café, which is a nice, quiet table service restaurant. You also have 1900 Park Fare which is a buffet-style restaurant that is also home to some of your favorite characters during breakfast and dinner. There are two signature restaurants, Citricos and Narcoossee’s. Both are delicious and provide a great atmosphere, but Narcoosee’s is our favorite since it is out on the water and offers views of Wishes and the Magic Kingdom. Then you have the most luxurious and expensive restaurant on property, Victoria & Albert’s. For this restaurant you will want to make sure you have your suit and finest clothes as there is a strict dress code. The menu is prix fixe and is served over multiple courses from the world renowned chefs. The restaurant is highly rated and has won numerous awards and honors. You have to add this to your Disney bucket list! 4 – Convenient transportation around property. 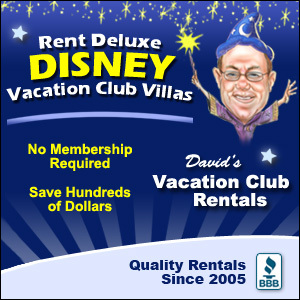 The transportation has always been a major selling point for staying at any of the Magic Kingdom area resorts. At the Grand Floridian you have the monorail to take you right to the Magic Kingdom or the Contemporary and Polynesian Village Resort. You also have boat transportation that can help you get to all of those places as well as Fort Wilderness and Wilderness Lodge. This makes dining at other resorts, enjoying their recreation activities or trying out one of the dinner shows much more convenient. There is so much to do and enjoy across all of Walt Disney World, that you want to make the most of convenient transportation so you can do as much as possible in the little time that you have. 3 – Special events and character encounters. There are several unique experiences and events that occur at the resort. There is the notorious Parasol Parade where the housekeepers walk the grounds with parasols in hand. There is also a newer experience where you can actually meet Cinderella and Prince Charming at the resort. They will greet young guests, take a group picture and then lead them down the grand staircase to the main floor of the lobby for dancing. It is an extremely unique and fun experience and everyone can watch and get involved. Plus… it’s free! Don’t forget to book tea at the tea room at the resort if you are interested in a real tea service with finger sandwiches. For a more princess-oriented tea, try out the Disney Princess Tea Party. You have to have a child in the party to be able to attend. It is pretty pricey, but the smaller guests walk away with a ton of great things from the event. You also get to have a tea party with princesses. All of these events are exclusive to the Grand Floridian, too! 2 – Views of Wishes at the Magic Kingdom. Yep you can watch the Wishes fireworks from the resort. You can even watch from your room if you book a room with a theme park view. If you would rather watch from the grounds, then head on out to the dock area at the resort. The music is piped in so you will be able to hear the music that accompanies the show while you watch. You also view the Electrical Water Pageant from there, too. Many guests miss seeing this or even know it is there, so definitely take advantage of a great place to watch it. 1 – The most luxurious accommodations on property. There are stays at the Grand Floridian that might make your head spin to know how much it would cost. With these options come the highest levels of luxury. One of the most expensive stays on property is the Main Building at the resort. This is one of the two club level stay options on property and you also get the benefit of staying right within the main building where most of the restaurants, shops and entertainment are. No matter what room you choose, the Grand Floridian is the only resort where each and every guests received a nightly turndown service and treats. It is all part of what makes the Grand one of the most luxurious and special stays that you can have while you are at Walt Disney World.